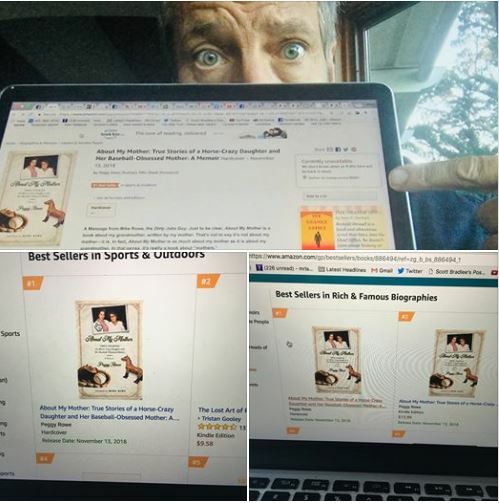 Last night, a few hours after my Mom’s book was made available for pre-order on Amazon, it went to #1 on the “Sports and Outdoors List.” I shared this news with my mother, and we rejoiced. Shortly thereafter, Mom’s book went to #1 on a list called “Best Sellers in Rich and Famous Celebrities.” I shared this news with my mother, and she was horrified. I called her right away with an update.